Super Switch Headz brings you the latest Nintendo news, rumors, speculation, and hype! In every episode your hosts David Howe, Patrick Knisely, Matthew Stoner, and special guests discuss and explore the world of Nintendo. We are the official podcast of the Switch Headz (DISCORD and Facebook) groups. James West joins your regular Super Switch Headz hosts this week as we go over the Smash 3.0 reveal and James and Patrick discuss what it's like being a gamer dad. We cover the rest of the Nintendo news and rumors, including the Labo VR release, and talk about what we've been playing. Listen to Super Switch Headz on iTunes, Spotify, or wherever you find podcasts. Join us on DISCORD, Facebook and Twitter and tell us what you think! Brian Bonnet guests on Super Switch Headz this week as we discuss Nintendo's mobile games. Have Nintendo's mobile offerings so far been successful? What about their future games? How does Nintendo making games for mobile affect their game development for the Switch and those of us who are console gaming fans? We also talk about the current Nintendo news and rumors and share what we've been playing recently. Listen to Super Switch Headz on iTunes, Spotify, or wherever you find podcasts. Join us on DISCORD, Facebook and Twitter to let us know what you think! This week Super Switch Headz gives their favorite hidden gems on the Switch. Patrick's out of town, so Adam Serwa and Jordan Willis join David and Matt to share their favorite lesser known indie games. As always, we go over all the news and rumors for the week and talk about what we're playing. Find Super Switch Headz on iTunes, Spotify, or wherever you find podcasts. Find us on DISCORD, Facebook and Twitter and let us know what you think! Ultrawings developer Chris Stockman from Bit Planet Games comes to the podcast to discuss his game, Ultrawings. Ultrawings is a Pilotwings-inspired game originally for VR, landing on the Switch. We talk about Stockman's history in the gaming industry, developing for VR, and of course the Switch version of Ultrawings. We also go over Nintendo news, rumors and what we've been playing. 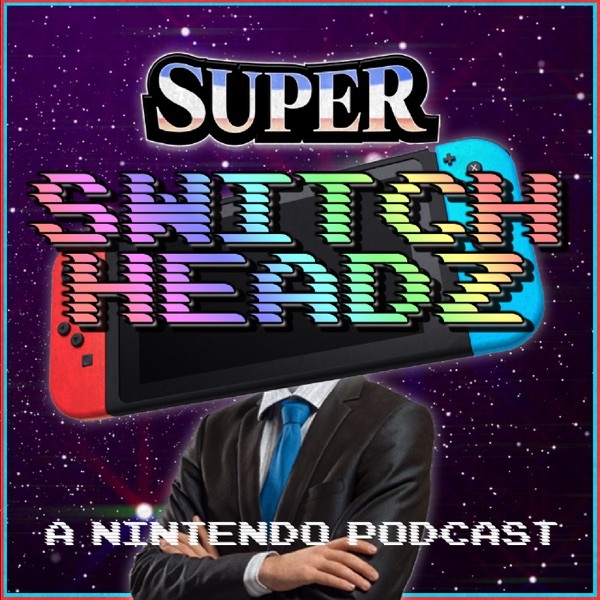 As always, listen to Super Switch Headz on iTunes, Spotify, YouTube and join us on DISCORD, Facebook, and Twitter. This week Emilie Nutter guests as we talk about all the current Nintendo news, rumors and discuss how the Nintendo Switch is becoming the system, with lots of great games, for couch multiplayer. Of course we also talk about what we've been playing. Listen to Super Switch Headz on iTunes, Spotify, or wherever you find podcasts. Join us on DISCORD, Facebook, and Twitter. Join us and our special guest Austin Young as we discuss The Legend of Zelda: Breath of the Wild turning two years old. We cover what was great about the game and go over what we want Nintendo to do in a sequel to the game. As always, we go over news, rumors and what we've been playing too. You can find Super Switch Headz on Spotify, iTunes, and wherever you get your podcasts. Join us on DISCORD, Facebook, and Twitter. Your hosts and special guest, Robert Moses, analyze the trailer for Pokémon Sword and Shield. Then, we sing our praises about Masahiro Sakurai's work ethic, discuss new Nintendo Switch Online games, speculate on Tetris 99's Maximus cup, and more! You can find Super Switch Headz on Spotify, iTunes, and wherever you get your podcasts. Join us on DISCORD, Facebook, and Twitter. In this episode, your hosts present the "Joys" and "Cons" of the Nintendo Switch as they celebrate its two-year anniversary. Of course we get hyped about the upcoming Pokemon Direct and the Detective Pikachu trailer. Then, we speculate on Xbox streaming services coming to the Nintendo Switch and other rumors. You can find Super Switch Headz on Spotify, iTunes, and wherever you get your podcasts. Join us on DISCORD, Facebook, and Twitter. In this jam packed episode, we go over all the recent Nintendo news and rumors. Of course we cover the recent February Nintendo Direct in detail, and then end with discussing what we've been playing this week. Find us on Spotify, iTunes, and wherever you get your podcasts! Don't forget to join us on DISCORD, Facebook, and Twitter. In this episode, your hosts present unique custom game modes as we revisit Super Smash Bros Ultimate two months after its release. Also, we speculate on the February Nintendo Direct, 2019 leaks, and discuss the value of Nintendo Switch Online. As always, we tell you what games we are currently playing. You can find us on Spotify, iTunes, and wherever you get your podcasts! Join us on DISCORD, Facebook, and Twitter. Hello and welcome to the Super Switch Headz podcast! In this introductory episode your hosts introduce themselves, explore Nintendo financial news, generate hype about 2019 games, and speculate on different models of the Switch. Then, the hosts tell you what games they are currently playing. Thank you for listening and welcome to the official Super Switch Headz podcast! Join us on DISCORD and Facebook.